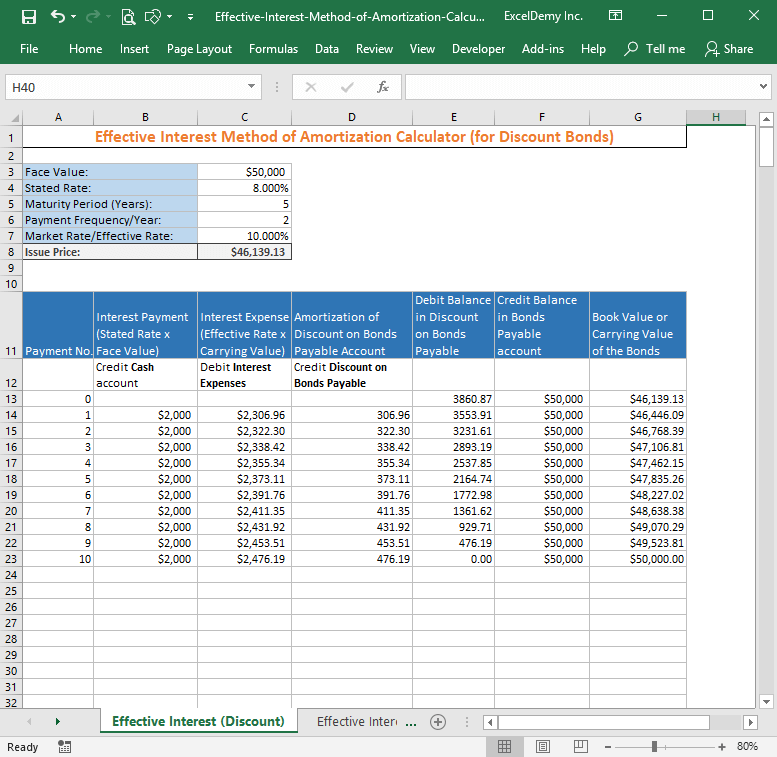 I made an Excel template that you can use as the effective interest method of amortization calculator. Download the template from the following link. You might ask yourself what will be the issue price of the bond? You see from the following image; the template is providing you the issue price of the bond. You will also find all the calculations related to the bond for the next 5 years (the maturity period of the bond). What will be the issue price of this bond? The template calculates it for you and it is $108752.06. And here are the other calculations of the bond. So, it is so easy to see all the calculations with just a few keystrokes. The market rate of the bond. It is also called an effective interest rate. So, it is very easy and good fun to get all the calculations from just a few inputs. This template will be a really great help for recording and processing all your accounting procedures for the lifetime of the bond. Just one problem is: you have to know how this effective interest rate of amortization process works for a bond.